The 2012 Pinot Noir is a beautifully balanced wine with stunning length and complexity. Our Single Block wines display qualities distinctive to grapes grown within a small defined area at Auntsfield Estate. Consistent quality and character over many vintages has separated these single blocks out as producing our Reserve wines. The Road Ridge block is a small 3 hectare block situated next to an old ridge line that runs through Auntsfield Estate. This unique feature has helped form a deep and very dense layer of wind-blown clay on its Western side where we have planted a single clone of Pinot Noir. AROMA: Ripe Plums, dark cherry and raspberry aromas with lifted floral and dried cloves. Savoury aromas of earthy forest floor and warm spices. PALATE: Rich weight with flavours of succulent plum, floral notes and dark raspberry fruit. Soft fine grain tannins provide a refined texture for the wine and a degree of elegance. The wine has a silky texture which leads to an ethereal, lingering finish. WINEMAKERS NOTES: This fruit was hand-picked into small baskets then carefully and diligently hand sorted to ensure that no less than perfect fruit entered the winery. This fruit was then gently destemmed and moved to tank by gravity. A combination of indigenous and cultured yeasts was nurtured through fermentation in open topped tanks. Careful use of hand plunging was used to gently extract the flavours and tannins from the skins. Maturation occurred in French barriques for approximately 10 months. VITICULTURISTS NOTES: Vigour and fertility in this block is very low resulting from the dense Loess Clay and the lack of top soil. As a result these 777 clone vines are slow growing but very even in growth habit. The cropping level is reduced to 2 kg per vine to maintain balance and results in fruit that looks vibrant, clean and expressive at harvest. AROMA: Blackberry and cherry fruit aromas with floral rose petal and some dried thyme. Savoury aromas of earthy forest floor and cigar box and warm spices. PALATE: Rich weight with plush juicy fruit of succulent plum and ripe berry fruit. The structure of this wine is tight with an underlying minerality, bright fruit and soft fine grained tannins for an elegant finish. WINEMAKERS NOTES: This fruit was hand-picked into small baskets then carefully and diligently hand sorted to ensure that no less than perfect fruit entered the winery. This fruit was then destemmed and moved to tank by gravity. A combination of indigenous and cultured yeasts were nurtured through fermentation in open topped tanks. Careful use of hand plunging was used to gently extract the flavours and tannins from the skins. Maturation occurred in French barriques for approximately 10 months. VITICULTURISTS NOTES: Vigour and fertility in this block is very low resulting from the dense Loess Clay and the lack of top soil. As a result these 777 clone vines are slow growing but very even in growth habit. The cropping level is reduced to 2.5kg per vine to maintain balance and results in fruit that looks vibrant, clean and expressive at harvest. 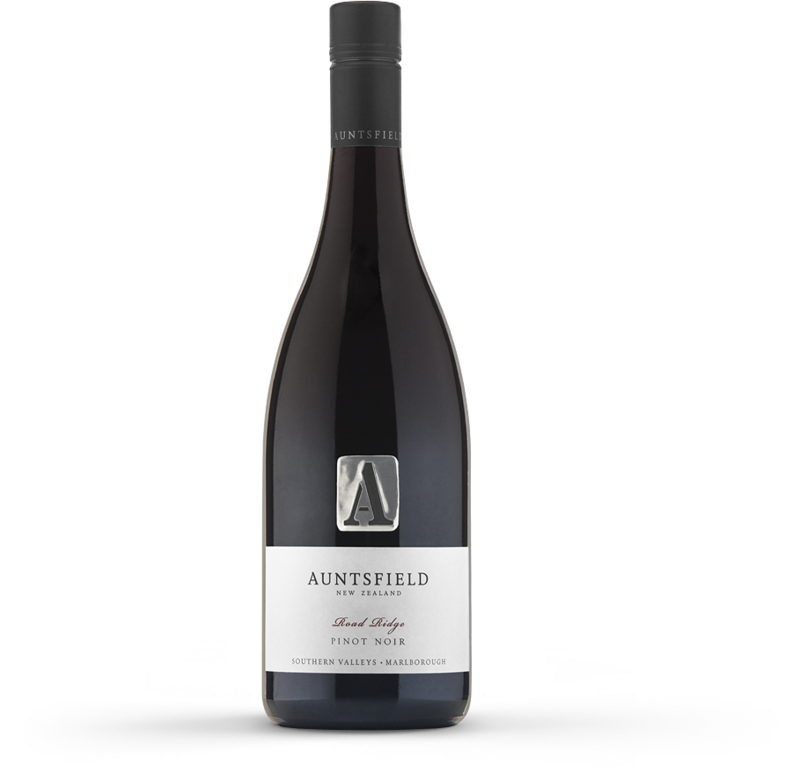 Concentrated, powerful Pinot Noir with masses of ripe plum, dark cherry, chocolate/mocha and Christmas cake flavours restrained by a structure of firm, ripe tannins. There is also an interesting earthy savoury dimension to the wine that I find appealing. Complex wine with a bright future. Drink 2015 to 2020. (Road Ridge Pinot Noir 2012) Ranked 17 of 99 2012 Pinot Noir tasted from Marlborough.